Emotional growth and awareness is your personal manifestation of really listening to what your soul is trying to tell you. When you finally get in touch and/or alignment with your higher self you will find that the Universe responds in ways unknown to reality. Things begin to happen, move, progress in ways that are unexplainable but tangible to your life and spirit. It is only through this connection with your awareness which your true spirit inside inherently knows that you will begin to see miracles occur. Miracles unexplainable by anyone other than your inner spirit and the Universe, it is your acceptance of this inner peace and trust for “what will be, will be”. When you embrace that state wholeheartedly knowing that the Universe has a plan for you that is ultimately for your benefit, it is during that time of vulnerable trust that beautiful things can happen. Think about this for a minute and reflect with your own, we all have crazy emotions at times, I know mine can get away from me, overthinking things bigger than they are which just makes the emotion grow and of course making things seem worse. So if your emotions are messages from your soul, what are yours trying to tell you? The only way to understand and learn from your emotions is to get in touch (connect) with where they are coming from, your soul. I don’t know why but at times it’s difficult to connect with your soul because life just overpowers it with all sorts of “get busy now” tasks that you rush around to complete just so you can finally take that moment for yourself, but it never happens does it? I know my life feels so busy that I think if I can just get all these things done I can have that moment and it never comes because it’s about creating the space for that moment instead of trying to fit it in. I believe that statement from Gary Zukav that our emotions are trying to connect, I know mine are constantly trying to distract and deter me from my daily rituals so I can find the time to get in touch with the areas that I neglect and that really need my attention. It is your inner spirit, your soul, that feeds and nourishes your mind, body and spirit and when you get disconnected all sorts of havoc occurs. Your personal well-being suffers the most because it’s the most external (even though internal) and prominent way to get your attention, I know I never think of the neglect because I’m so engrossed in my stuff that the realization doesn’t occur to me. Obviously this doesn’t mean that real issues going on are just magically cleared up because you’ve connected with your soul but I do think that it will change the viewpoint you have, enough to allow you a better peace of mind with the situations that are difficult. It’s so hard not to get caught up in trying to pursue that “better life” that sits at the end of that rainbow, the “if only” I get all this done then I can rest but that rest (that connection) is more important that you may realize. I myself am going to make my own personal resolution to start by taking 5 uninterrupted minutes of the day where I don’t think of anything that is needed from me that I have to do because it’s just as important for me as it is for you. It doesn’t matter what you do in those 5 minutes as long as you are allowing your silence to speak. When you take these moments for yourself the bustle that you’ve been putting yourself through suddenly loses its momentum and as you continue to take these uninterrupted moments you will find that within that quiet time you find more answers and those answers reduce the hectic schedule because it becomes like a moment of brainstorm. 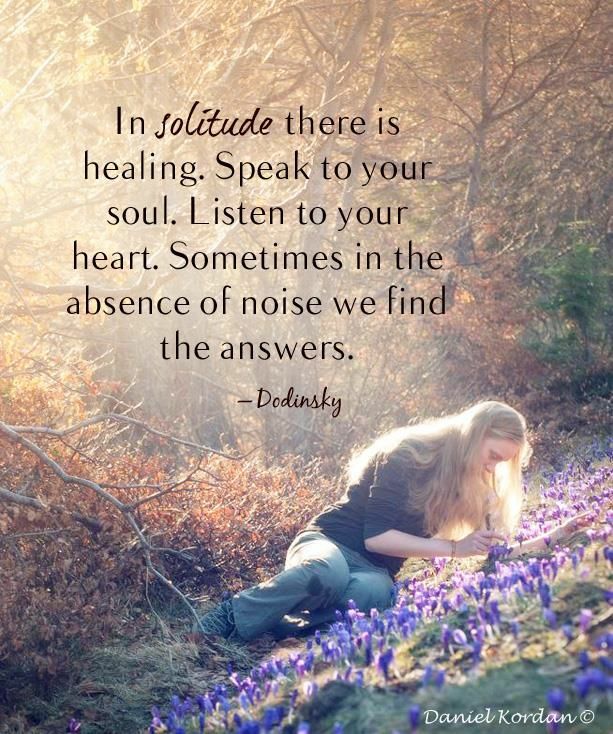 The answers you strive to seek are there “in the stillness” and those answers not only diminish the bustle but lead you in a different direction, one that is much more beneficial for your soul. Creating those moments helps you find your soul, your true self and your inner awareness and wisdom and from all of those I believe will lead you to your purpose and your higher calling. That discovery is the beginning of an ease and peace of mind, state and soul that allows your spirit to soar.